Gurrumul is a once-in-a-lifetime talent, sadly lost to us too soon. Born on Elcho Island, Gurrumul first gained prominence as a member of Yothu Yindi. Gurrumul was born blind, but that didn’t hinder his talent as he shone through as both a multi-instrumentalist and especially a singing talent, whose otherworldly voice brought his traditional Yolgnu songs to life. 2008’s self-titled release brought him worldwide attention and recognition from figures as diverse as Elton John, Queen Elizabeth II, and Barack Obama. Though his career took him far and wide, he never strayed from his roots and community on Elcho Island. He was the backbone of the Yunupingu Foundation, with a vision for creating opportunities for remote Indigenous young people to realise their full potential. 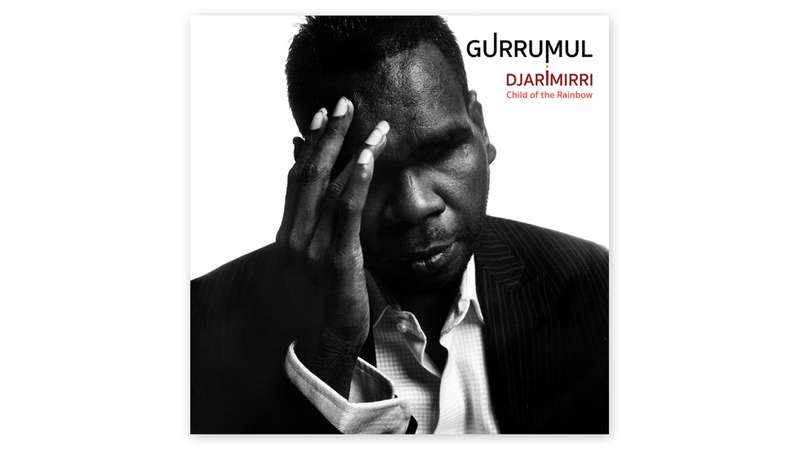 Unfortunately this album is his final statement, as Gurrumul passed away in late 2017. I had the pleasure of also seeing the self-titled documentary about Gurrumul’s life, set to be released in cinemas soon. A key takeaway from the film was Gurrumul’s raw honesty and commitment to his community. Blind from birth and also acutely shy, here was a man devoted to his music and his traditions. He had no pretension whatsoever, unwilling to put on a ‘showbiz’ face and somewhat perplexed by the sudden worldwide interest in his music – music that has always been in his soul and at the heart of his community. No matter the heights that his fame soared to, he stayed loyal to his community. The calls of the record industry sometimes clashed with Gurrumul’s own call back to country, and the latter always won out. Gurrumul’s music, then, feels immensely personal and real, divorced from any ‘mainstream’ dumbing down of its content, nor monetary concerns. This is traditional music, passed through generations, which we have the fortune of having captured on tape as sung by a truly outstanding talent. Djarimirri (Child of the Rainbow) was produced over the last four years, a labour of love between Gurrumul and his long-time collaborator Michael Hohnen. It captures traditional Yolgnu chants across 12 tracks. The chants presented are an oral tradition, so as a concession for Western ears these songs have been set to an orchestral backing. This had the potential to backfire, but the treatment has been carried out with supreme taste. Performed by the Australian Chamber Orchestra and Sydney Symphony Orchestra, the backing tracks avoid bombast and instead are more in line with minimal classical. Violins swell and ebb and ostinato riffs repeat with variations as Gurrumul’s voice, as well as choral chants, bring many of these tracks up to sublime crescendos. Underpinning many of the tracks are traditional didgeridoo patterns, wisely scored by lower string instruments. The major impression remains Gurrumul’s voice. He displays an amazing breadth of range, from whispers and hums to swooping melodies, often accompanied by beautiful, harmonised chants. This is beautiful music that defies easy description, often feeling otherworldly yet one with the Earth. A must listen for those wanting to hear traditional Indigenous music in a different light, or simply if you want a musical listening experience unmatched in Western music. This is moving material by a talent who will not be soon forgotten.